Give our specialists some basic details about the type of vacation youd like to take, and well do the rest. 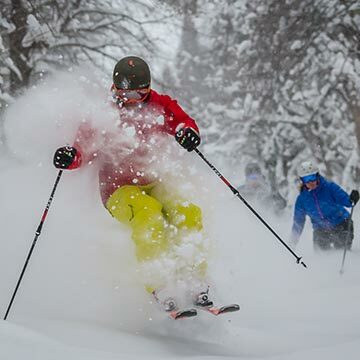 Sunshine, snow and apres-ski? No problem. Weve got a place for you. Accept our invitation to reserve your Tremblant home away from home. A lodging experience featuring unparalleled locations, plush accommodations, well-appointed living spaces and access to a mountain playground that assures your stay with us will be filled with the special touches that will not soon be forgotten. Whether you’re traveling with a group, or looking for an intimate mountain retreat, Tremblant Platinum’s home and townhome collection undoubtedly has exactly what your imagining for a memorable getaway. No need to alter your lifestyle because you’re on vacation. Offering alluring condominium retreats for your Tremblant holiday all crafted with your utmost comfort in mind. A luxe basecamp from which to begin your mountain adventures. 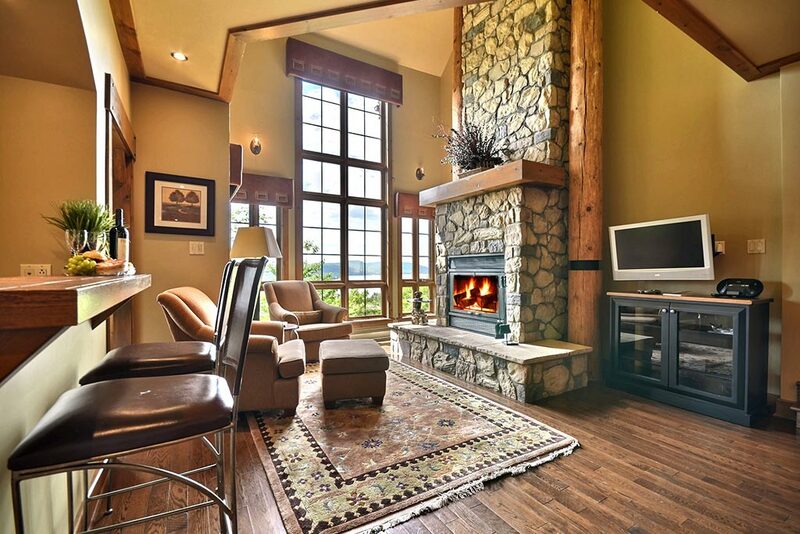 Each condo in our luxury collection is thoughtfully designed to enhance your mountain sojourn. Authentic mountain character is paired with well-thought out amenities and premium locations – all crafted together to enhance your stay. Tremblant Platinum specializes in offering luxurious rental properties in the exclusive Mont Tremblant area. 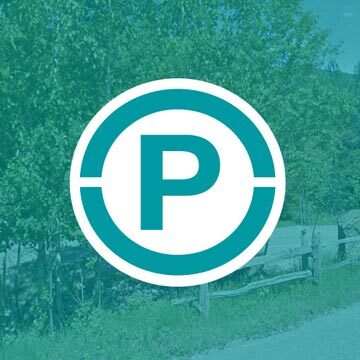 If prestigious resort living is what you're looking for, then the wide array of chalets, condos and cottages, minutes away from the Mont Tremblant resort will suit you perfectly. The properties are nicely appointed, offering the best in accommodations with incredible views of the surrounding area. These chalets and condos are uniquely Mont Tremblant, and they provide the perfect backdrop for a weekend on the slopes or a week relaxing with family. No matter which property you decide on going with, you'll be choosing a truly exclusive experience right in the world class Tremblant Ski Resort. Nothing beats the full access of ski-in, ski-out properties. You can be from your living room down the slopes in a matter of minutes, and our chalets and condos are located within short distance of a number of excellent activities. Six world class golf courses populate the area, as does incredible skiing and a renowned spa. Quebec is a place full of opportunities in its own right, with events like the annual Blues Festival, the Tremblant 24-Hour, and the Ferrari Festival well within your reach. At Tremblant Platinum, we seek to provide the best possible experience, which is why our concierge service is dedicated to your needs. You'll enjoy the beauty, luxury, and space of an upscale chalet or condo, while taking advantage of the amenities only offered by a world class resort. No matter your reason for coming to Tremblant, whether for golf or a family ski adventure, our rental properties provide the perfect setting. If you're a business traveler or maybe just someone looking to relax in the Scandinavian Spa, you can enjoy a unique, personalized experienced. 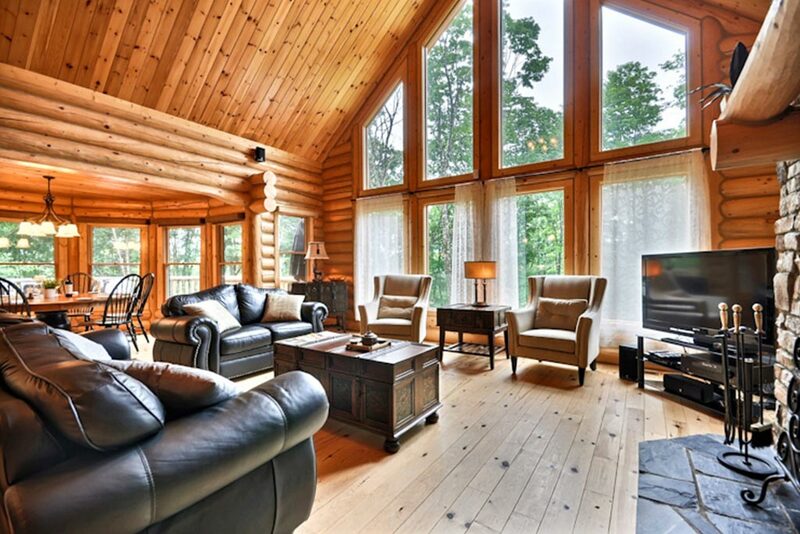 Likewise, we help prospective real estate buyers locate the finest country homes, condominiums, cottages, and ski chalets the Mont Tremblant area has to offer. 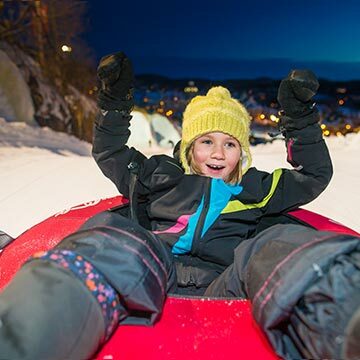 Enjoy FREE access to the sliding slopes during the evening! Get FREE access to our ice rink and free skate loan from 1pm to 9pm every day.